We stand, with all our passion, aspirations and determination to continue the struggle, alongside women and children who are perishing in poverty without any support and shelter and under repressive conditions in the impoverished shantytowns surrounding all major cities. And in these early moments of the New Year, our thoughts are with our slainMojahed and combatant children, the political prisoners executed this year in 1397 (2018-2019), the 120,000 martyrs fallen for freedom, those buried in Khavaran (cemetery) and other places in every town and village with no tombstones or any marks bearing their names. 1397 was the year of the expansion of resistance units when the strategy of 1,000 Ashrafs and the army of freedom shined brighter than ever in our occupied homeland. In the past year, the mullahs lost the nuclear (JCPOA) deal which they claimed was the key to all of the regime’s deadlocks and the way out of their predicaments. Many western companies, who had become the clerical regime's and the IRGC’s economic partners contrary to the desire of the people of Iran, left the country. The long-held U.S. policy of appeasement designed to protect the regime against regime change and overthrow was brought to a halt, and the beginning of sanctions on the regime’s oil sales has pushed Tehran into a phase of instability and insecurity. That is why the revolutionary realities of Iranian society have become more evident and visible. In the meantime, the mullahs have extracted tens of billions of dollars out of the country. The economic austerity policy of Khamenei paved the way for further plunder of our people’s wealth. The value of the country’s official currency plunged by a third in less than a year. Inflation swelled four folds. Oil exports fell to half to one-third and the budget deficit increased by at least 50 percent. The myth of moderation was put to rest by the appointment of Ebrahim Raisi as the regime's Chief Justice. He is a reviled mass murderer who ran against Rouhani, the charlatan, during the last presidential elections. His appointment represented a coup de grace shot to the elusive myth of moderation in the regime. This is while Rouhani’s government is half-paralyzed and the most important face of the cabinet facade keeps sitting at home every other day or resigns. In fact, the entire ruling regime is undergoing an accelerated rate of decay. Since they have no real chance of survival, the Vali-e faqih (Khamenei) has arrayed his regime's resources squarely on suppression, spilling blood and criminal activity. He appointed the regime’s previous ruthless Chief Justice as the head of the Expediency Council and one of the most brutal perpetrators of the massacre of 30,000 PMOI political prisoners in 1988 as his Chief Justice. Yes, this is the caliphate of the massacre. The message is one of the closing ranks and resorting to more suppression. The mullahs’ supreme leader seeks to compensate for his defeat in the 2017 presidential elections. He assumes that if Raisi had succeeded to become president, he could have prevented the December 2017-January 2018 uprisings. Their terrorism and demonization efforts, however, were not successful.  But in all honesty, they were truly successful in accomplishing one major task and that was to clearly show, hundreds of times, that their main threat and the alternative to their regime are the Mojahedin (the PMOI/MEK), the National Liberation Army and the National Council of Resistance of Iran. Indeed, resistance units made significant strides through actions against the centers of suppression and the regime’s symbols. In some months of the past year, they carried out more than 100 acts to pierce through the atmosphere of repression. So, 1397 was the year of the proliferation of the strategy of the Iranian Resistance, a year in which the prospect of the regime’s overthrow loomed large and the path and roadmap became even clearer. Yes, now, the Army of Spring is on its way, the army of spring with 100,000 flourishing roses. Parallel with this year’s uprisings, which exhibit the Iranian society’s devotion to welcome rejuvenation and spring, there was a continuous effort within the ranks of the Iranian Resistance to improve and advance humanitarian values and ideals. This effort was ongoing throughout the movement, from the Mojahedin organization to other members and supporters of the Resistance in various countries, and to members of the resistance units in different cities inside Iran. The remarkable features of these efforts were reinforced resolve, renewed choices, increased motivation, and advance by leaps and bounds in realizing the values of the ideals of humanity and struggle. Yes, this is indeed a new day with a new revolution in the making, bringing about change. Everyone is passionately endeavoring to create new values to reach the glorious destination of freedom. Everyone is trying their best and making their greatest sacrifice to fulfill their commitment to their enchained nation. They are showing that the strength within their collective enterprise and their coherent and robust organization, as well as the power of their people, is that enormous and undying force that will uproot the mullahs’ theocratic regime. In the beginning of the New Year, I would like to ask mothers and fathers, my sisters and brothers, my young daughters and sons, that in the face of the cruel and criminal mullahs, you must move ahead hand in hand, with hope and vigor, and welcome the New Year 1398 because it is a year of uprisings, upheavals, and revolution. They need trust, solidarity, and coexistence. They want economic and social progress. They want a country where everyone is entitled to have a job and to enjoy equal economic opportunities, and where no one feels a sense of shame because they cannot afford to feed their children. We want an Iran replete with freedoms, where children and youths are happy, where talents and potentials are realized, and where women play their role in the leadership of society; a country that lives in peace, friendship, and coexistence with its neighbors. The gates of Iran are open to embrace a future without oppression, inequality, and injustice; a republic based on the separation of religion and state; a country ruled by its people’s suffrage and sovereignty, where the people’s votes have the first and final words.